A highly trained scribe in Israel has been commissioned to hand-write a Torah for our community. This is the first time in our city's history that a Torah will be written from beginning to end with our community in mind. 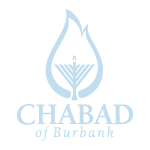 A ceremony will be held on July 8th, with a scribe who will begin this year-long process by putting quill to parchment, to write the initial letters of the Children's Community Torah. Endow a Chapter that has a special meaning to your and/or a loved one. Endow an Aliyah that has a special meaning to your and/or a loved one. Endow an Torah Portion that has a special meaning to your and/or a loved one.